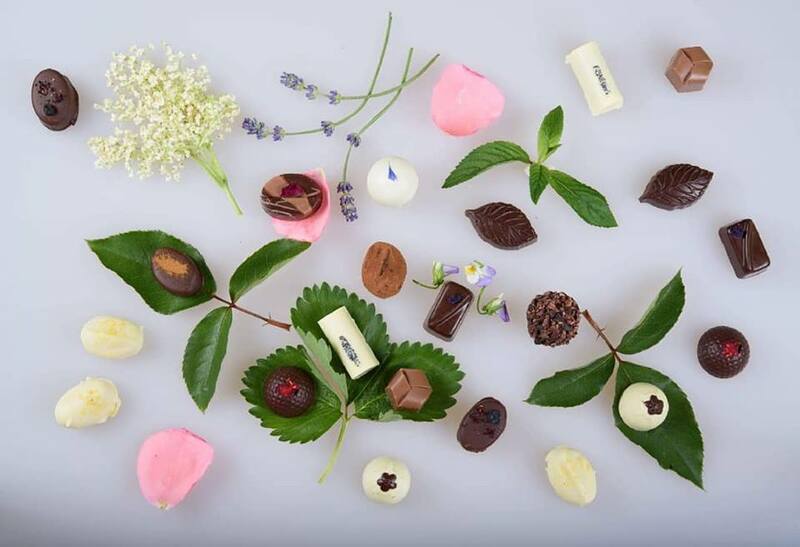 Indulge yourself with a fabulous chocolate experience with Forra Chocolate Pralines.. The fillings of which are created according to our unique cooking recipes and and cooked shortly before the actual filling process. With no artiffficial colorings , conservatives or syntethic aromas. With Forra Chocolate Pralines you will be experience the true beauty and power of nature. Our fillings contain 100% natural ingredients / like 100 filling paste ( coconut , hazelnut , almond) 100 percent natural oils ( mint, lavender...) or our delicate liquors.. (Cointreau, Amarula, ... ). 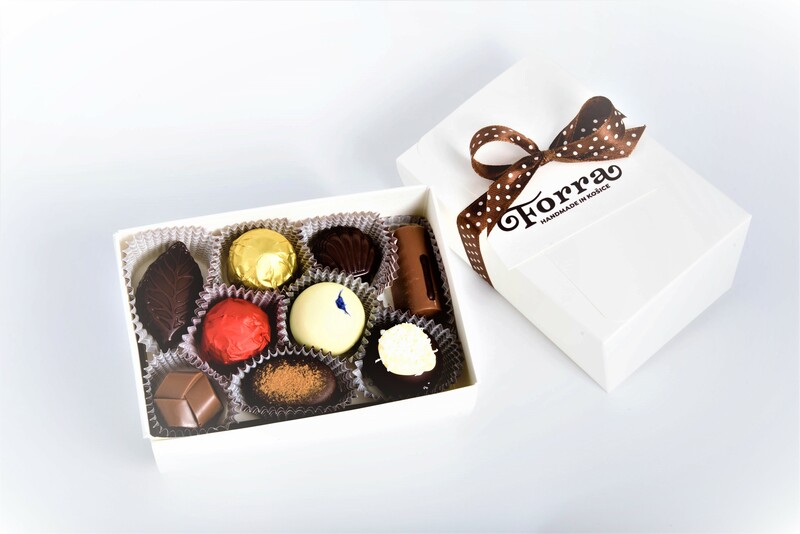 The Forra Chocolate Pralines can be a wonderful gift for your family members or even business partners. In larger numbers ( pay by weight , no gift packing) they can serve as a wonderful addition to your parties , business events, or wedding candy bars. The pralines are sold by weight ( 1kg – 55 euros / approx. 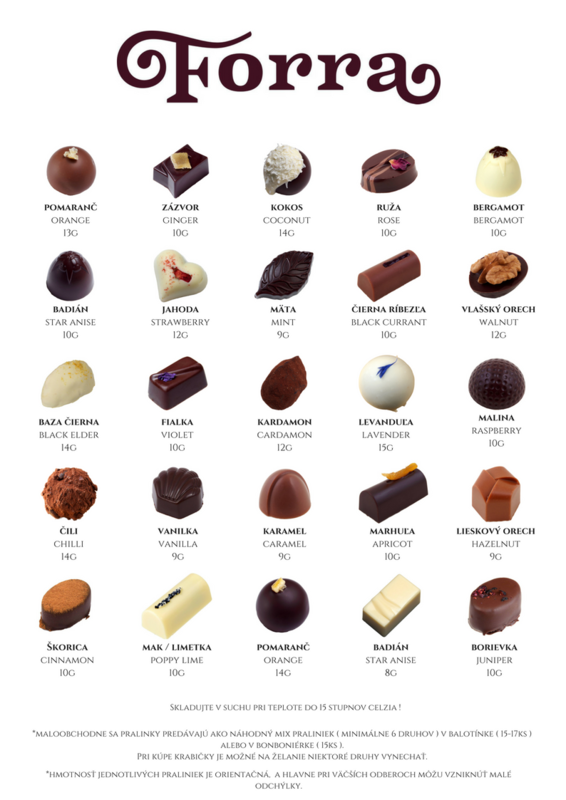 90-100 pieces, depending on individual praline types). 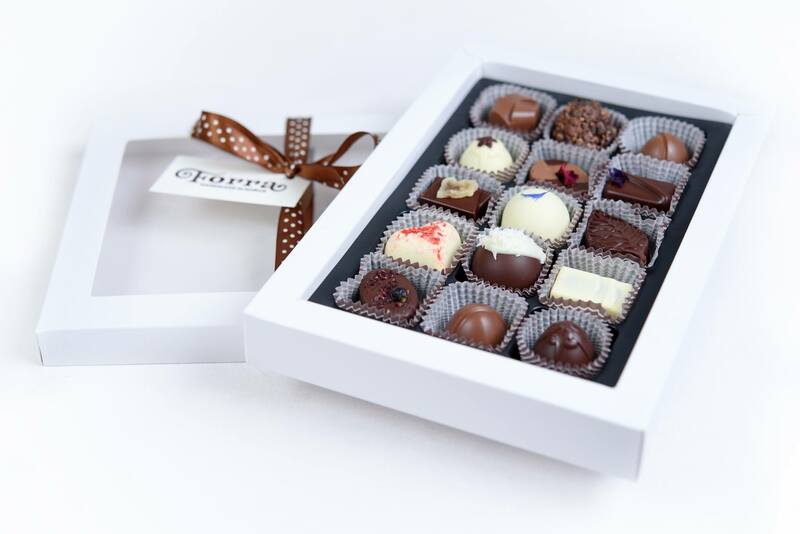 Bonboniera gift box – 9,50 € ( estimated price, the exact price to be determined by the individual praline types and their weight) . Balotinka gift box - 9 € ( estimated price, the exact price to be determined by the individual praline types and their weight).